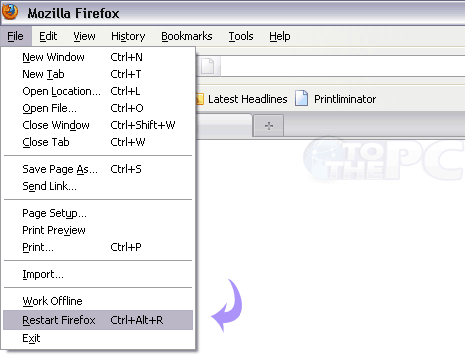 Firefox browser can be customized with different plugins, themes and much more. Each customization effort require restart / reboot of Firefox browser. Are you tired of clicking restart button? Well, you can restart Firefox using quick keyboard shortcut key by installing “Quick Restart” Firefox plugin. This is very useful for quick Firefox restart while enabling or disabling an extension, switching to a new theme or modifying configuration files. Like it?